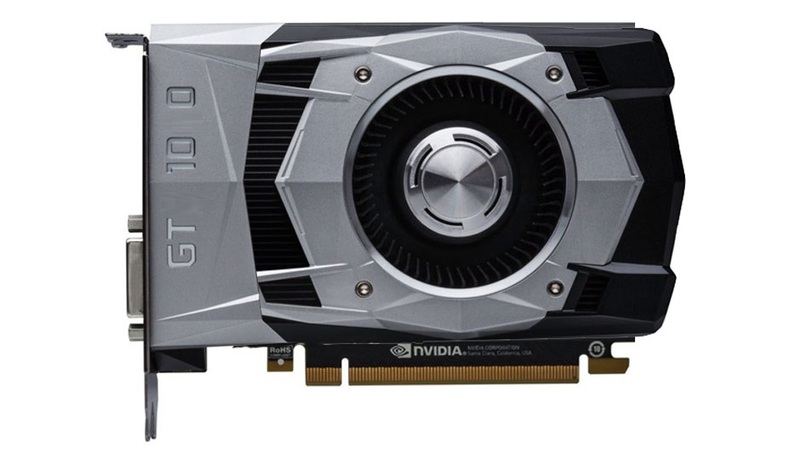 NVIDIA’s Pascal based GP108 GPU for their upcoming GeForce GT 1030 graphics card has been pictured by Expreview (via Videocardz). The latest chip will be powering NVIDIA’s entry level, sub-$100 US graphics cards which are designed to tackle the AMD Radeon RX 550. 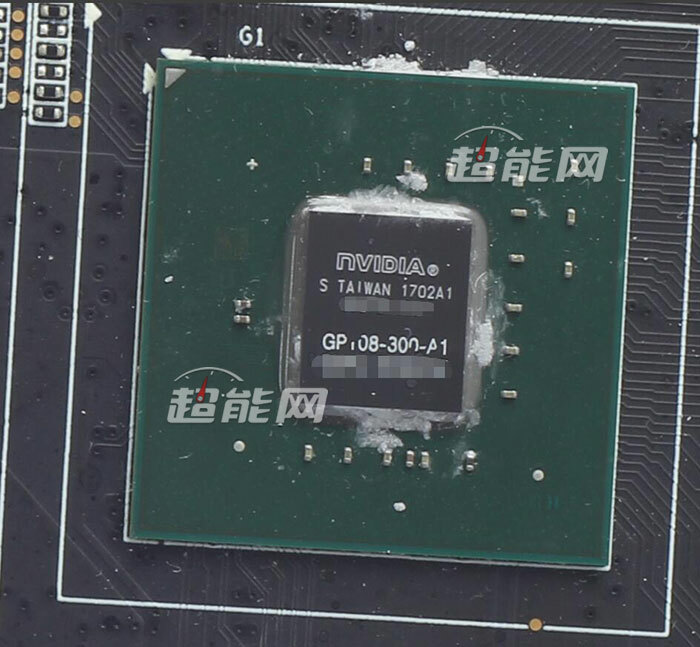 Just yesterday, we detailed NVIDA’s upcoming GeForce GT 1030 graphics card. The new card aims to take the fight to the sub-$100 US market segment. AMD recently released the Radeon RX 550 in this market for a price of $79 US. NVIDIA will be releasing their less than $80 US graphics card for this market, known as the GeForce GT 1030. The GP108 GPU is very small and measures around 100mm2. The GP107 GPU for comparison has a die size of 132mm2. Also worth noting is that the card is going to be extremely efficient with a TDP of just 30 Watts. It’s mentioned that the card will mostly require a PCIe 3.0 x4 interface as that’s enough for the market segment it’s targeted at. 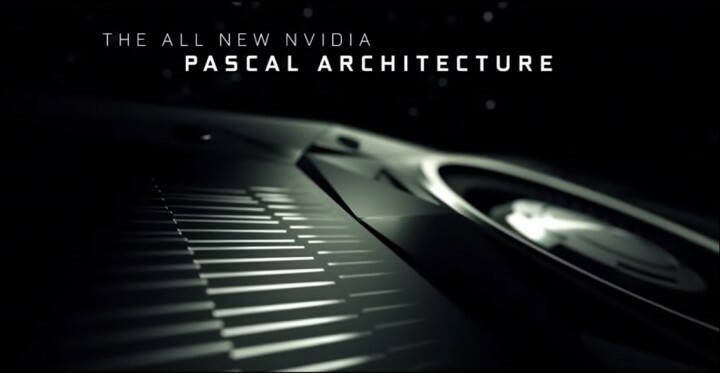 The NVIDIA GeForce GT 1030 is going to utilize the new GP108 GPU that is based on the Pascal architecture. 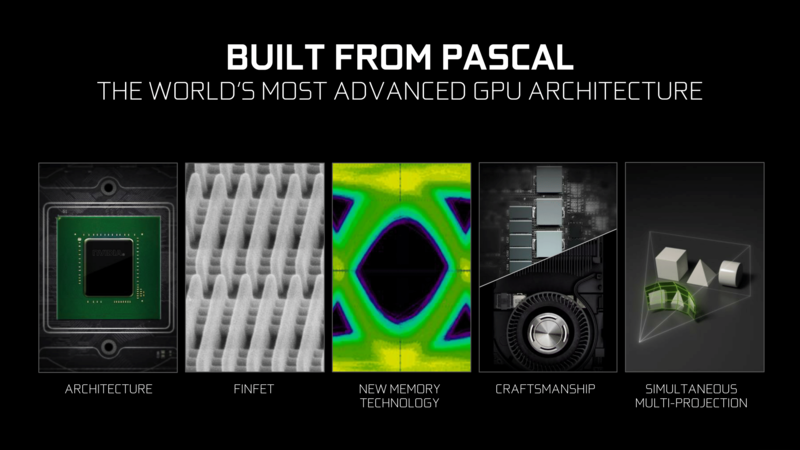 It may be based on the same 16nm FinFET process that is utilized by other Pascal architecture based GPUs. It’s a low-end solution and will act as a GT 930 / GT 730 successor. The pricing for the new card is suggested to be around $60-$80 US which puts it in the same league as the Radeon RX 550. The GP108 GPU is going to feature 512 stream processors so we are looking at just 2 GPCs, each featuring 2 SM blocks (4 total). It will feature 32 TMUs and 16 ROPs. The card will feature a 64-bit wide bus interface and ship with either 2 or 4 GB of GDDR5 memory. NVIDIA will use 6 Gbps chips on their GeForce GT 1030 graphics card, leading to a memory bandwidth of 48 GB/s given that the 64-bit bus for memory is true. The card will require no additional power connector and the TDP will be rated at 30W. For comparison, the Radeon RX 550 ships with a TDP of 50W. In terms of performance, the card has one less SM unit compared to the GTX 1050 so performance won’t take a big impact. On the other hand, the Radeon RX 550 is half of the Radeon RX 560 so performance will take a impact on that specific card. 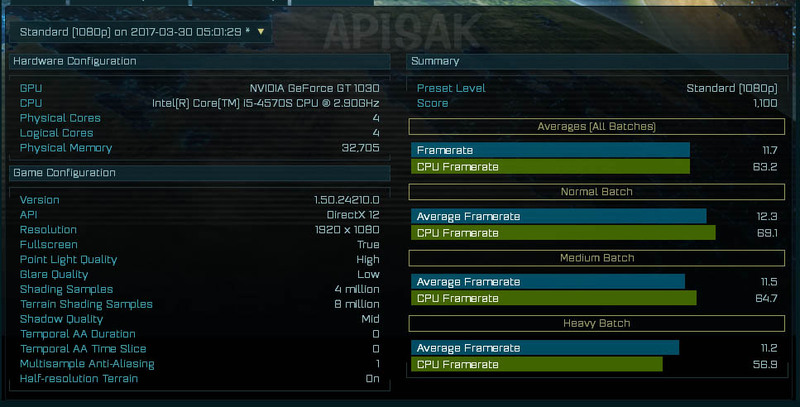 Videocardz managed to find a listing of the GeForce GT 1030 in the Ashes of The Singularity benchmark database. The score of 1,100 points on the Standard preset is what we should expect from the card as it isn’t designed to handle AAA titles at 1080p resolutions. It’s a card designed to target an entirely different GPU market segment. For most eSports titles, these cards will do the trick but don’t expect to run high-end AAA titles as these cards aren’t built for those. The performance numbers are reportedly on par or better than the GTX 750 Ti and will hit the market mid May 2017.